When I was a kid, I loved to read. One series that I grew to love was the Choose Your Own Adventure series. The fun in these books was the feeling of choice. You had power to decide how the story turned out. Similarly, participation in the judge program is choosing an adventure. Not every judge’s story will (or should!) look the same. As I’ve said from the beginning of this series, we must understand where people are and where they want to go to give them the best feedback possible. Once a judge becomes a consistent L1, it is easy to begin saying “Why haven’t you tested for L2 yet?” or “You seem like you would make a good L2” without fully thinking through the difference between what makes a strong L1 (which this person might be) and what makes a capable L2 (which they likely are not yet). Especially since the removal of in-store GPTs, the line between the L1 specialization (Regular REL) and the L2 specialization (Competitive REL) has become more clearly defined. As a result, our feedback should focus on helping L1s who excel at Regular REL transition to judging Competitive REL events such as PPTQs and Grands Prix. Today I’m sharing strategies for scaling feedback for an L1 who aspires to be an L2. If you offer this feedback to an L1 who feels fulfilled by their responsibilities as an L1, you may find that the feedback is viewed as non-applicable by the judge receiving the feedback. They will be better served by feedback that focuses on helping them improve where they are. Instead, think of the following three questions as relevant to judges who aspire to meet the expectations and responsibilities of L2. 1. What is their awareness of the importance of (giving and receiving) feedback? Because of the increased focus on local Regular REL events, many L1s may not often come into contact with the broader judge community unless they active work to facilitate building such relationships. At Competitive REL events like GPs or SCG Tour events, judges are much more likely to encounter judges who either want to provide feedback or for whom these new L2s should provide feedback. As a result, we should assess aspiring L2s’ ability both to receive and to provide feedback. This ability is closely related to expectations of L2s and L3s: diplomacy, stress management, leadership, self-evaluation, and development of other judges. We require aspiring L2s to write two reviews and to secure a recommendation from an L2 or L3. As we mentor judges, we should help them connect these checklist items with the broader value of feedback the judge program. Aspiring L2s must see their responsibility to develop other judges through feedback as well as the opportunity they have to grow through implementing feedback from other judges. 2. What is their understanding of rules/policy knowledge? I often see L2s/L3s asking (somewhat random) rules or policy questions of aspiring L2s on the floor of larger events. While I can see some value in doing so, I think many judges would benefit from a more targeted approach to this process. When you discuss rules and policy scenarios with newer judges, do you have an identified end goal? Do you want to impress the people around you with your corner-case knowledge? Or do you want to prepare your fellow judges for likely situations at this event? We do a disservice to aspiring L2s when we bombard them with information without discussing how this information fits into the bigger picture. Remember that aspiring L2s have not had to interact that much (if at all!) with the IPG–they’ve worked only with the JAR. They’ve also not been tested on a more rigorous understanding of the Comprehensive Rules. Your feedback should focus on their growth in rules/policy knowledge and appropriate depth of rules/policy knowledge. 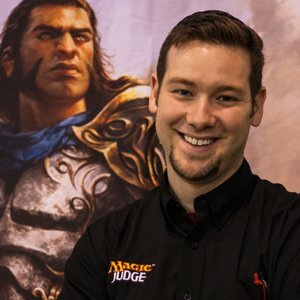 A new L2 can run a PPTQ. Will your feedback and interactions with the aspiring L2 prepare them to be effective in this role? To help aspiring L2s, I recommend focusing on their understanding of the IPG and their ability to communicate consistently about the IPG when providing rulings during Competitive events. Since the stakes become higher during many Competitive REL events, it becomes increasingly important that judges provide rulings consistent with the IPG and be able to effectively explain those rulings to players at the table. Watching judges provide rulings can serve as an excellent starting point for a discussion about areas for improvement or strengths of an aspiring L2 that you are working with. 3. Is their familiarity with the level differentiations good enough to certify L1s of their own? When you certify an aspiring L2, you are opening the door to their certifying L1s with no restraining influence. If this license gives you pause when you think about an aspiring L2 that you are currently working with, then you may want to prioritize feedback on your candidate’s understanding of what an L1 should look like. This area of feedback should connect to the previous two that we already discussed–does your candidate understand how their interactions/feedback are influencing the candidates they are working with? Does your candidate understand the appropriate level of rules/policy knowledge that is expected of L1s? The adjustment in how we provide feedback to L1s as they progress as judges should be a subtle but intentional process. It can be disconcerting and discouraging to suddenly realize that the metrics by which you are being assessed as a judge have changed suddenly and without warning. Discussing scaling expectations and feedback with judges directly will prepare them for the challenges ahead. Once you’ve certified a brand new L2 and unleashed them on PPTQs and Grand Prix floors everywhere, your job isn’t actually done. If anything, your role as a mentor has become even more important. Next time we’ll start discussing how to help L2s continue to grow. Is this because it is easier and/or more effective to give feedback on IPG interactions this way than CR interactions? Is it because more shoptalk between judges involves the CR than the IPG? I’m just curious why the focus is on IPG when the ratio of rules to policy questions is 7:3 on the L2 test. Todd, I like to focus on the IPG for aspiring L2s because L1s already have some understanding and experience in providing explanations/rulings regarding the CR, but have likely not had to provide rulings that are based on the IPG. In addition, the difference between the IPGs numerous infractions and the JARs broad categories can mean that judges are not well prepared to provide a specific and accurate ruling. You are definitely right that aspiring L2s need to be well-versed in the CR, but I think that building up the foundational understanding of the IPG is equally important.